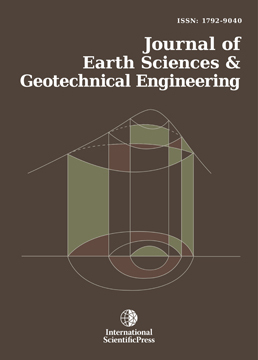 Geology, Hydrology, Seismology, Geophysics , Meteorology, Climatology, Geography ,Topography and geodesy, Soil science, Geochemistry, Engineering geology, Sedimentology, Volcanology, Oceanography, Physics and Chemistry of the atmosphere , Biology, Geostatistics, Geoinformation systems (GIS) and Environmental Science . Foundation Engineering, Geotechnical Processes, Constitutive Modeling , Geotechnical Earthquake Engineering, Environmental Geotechnics, Laboratory Testing ,Rock Mechanics , Behavior of soils and rocks , Site Investigation and Geotechnical design and construction. A Hybrid Approach to Near-Surface Imaging and Characterization for an Onshore Niger Delta Prospect Field Adizua, O. F., Anakwuba, E. K. and Onwuemesi, A. G.